These seem to be buzz phrases that we hear many people reiterate over and over again to people that are under a doctor’s care, have/had some type of illness or are trying to live a healthier lifestyle. However, nobody actually informs anyone of what this really means! How do you become such a proactive force in transforming into the epitome of health? Well let me first start off by saying, you don’t have to be the epitome of health to be a healthy go-getter. People have varying conditions, or lack thereof, that allows them to perform within their limits. So please do not compare yourself to anyone, or else it could lead to a downward spiral of discouragement (that will ultimately impact your health). For someone who wants to take charge of their health in their day-to-day lives, network network network! I found that for my basic nutritional and fitness goals, social media actually connected me with brilliant minds in the field. I can compile plans, data and results from multiple bloggers and professionals in all different spectrums of health. I found that there are many “types” across all spectrums! Whether it’s just your standard fitness goals or controlling a disease state, there are many well-known and legitimate people out there that you can rely on to get an idea of what is best for your own body. I compiled plans from all across the board to match my goals accurately. Be sure to consult with a general physician or a specialist you are seeing before starting any drastic nutritional or fitness transformation, and be sure to test the waters gradually instead of shocking your body. Keeping yourself healthy through nutrition and proper exercise for your body is the first way to take charge over becoming your own advocate, and it can benefit your entire system. But what about health issues you face? How does the average person become educated on conditions that are so complex? I am lucky enough to be starting a career in healthcare, so that means I am always a skeptic. I can never just say “OK” when it comes to my health, and I am a research nut. This past year I have truly taken charge of my health and became my own advocate. Not only did I watch mostly everything I ate and knew what my limitations were for exercise without overexertion, but I uncovered the health care system so I can figure out which plan is most compatible with what I’m dealing with. Whether you are looking to just be healthier in general or are coping with an illness, you cannot say “yes” to everything just because someone of medical authority tells you something. You need to come prepared to research, ask questions, compare methodologies and test the waters. If a practitioner does not give you adequate information when you ask for it, then that is not the practitioner for you. I recently had a break-up with a rheumatologist I was seeing. Thankfully, I got my diagnosis out of them, but they were not providing me with the treatment and hope I needed to get through lupus and arthritis as a young 23-year-old attempting to thrive in this life. Shortly after my diagnosis, I became extremely involved with the Lupus Foundation of America. Additionally, I am currently working at New Jersey Regenerative Institute, where I work with four doctors who use holistic approaches to treating their patients and conduct cutting-edge research. 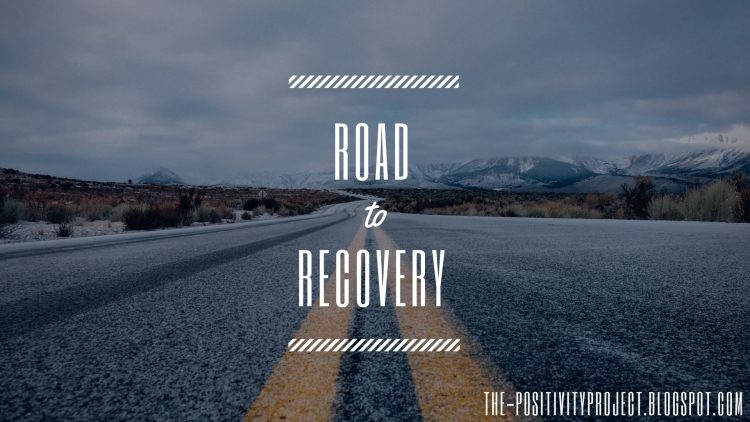 From my education, my job and LFA events and fundraising (in addition to my own research and reading in my spare time), I became very aware of what my condition entailed and what was out there that could provide a promise of effective treatment. I began to feel as if I was telling my doctor about symptoms and solutions for my condition (e.g. new research projects that our fundraising efforts are going towards) with hardly any response or knowledge of the matter. She never even told me what lupus really was. I was simply given a potent prescription, told that I need an retinal exam every six months because of said prescription and had to give a urine sample to make sure my kidneys weren’t failing. I walked out of the office in shock, unsure of what my next step was or how my life was going to change. This is why I became my own advocate. After stumbling across lupus.org, I learned everything I needed to know about my condition and how to live with it – from legitimate sources. Although my rheumatologist was very nice and I was thankful she gave me a diagnosis, I felt as if I outgrew her and I needed a change. This was when I later found a rheumatologist at NYU Langone’s Lupus Center, who actually specializes in systemic lupus and conducts his own research from federal funding. I recently had a consultation with him in March of this year. Praying for the best (but still with a smile), I went into their sophisticated facility at the Center for Musculoskeletal Care. He spent over an hour and a half with my mother and I (unheard of from doctors that are covered by insurance nowadays), speaking to me as if I was just diagnosed with lupus and coming up with a plan of action to control it six months out. He addressed issues in my blood work that were not told to me previously and could have had a serious impact on my future medical status. He wanted to create a healthcare team with my surgeon at Hospital for Special Surgery to guide my health through my total knee replacement on June 2nd and help me avoid and control major flare-ups that come with major, invasive surgery. He was not complacent, and desired collaboration for my case. He debunked myths, and gave me lupus-specific guidelines. He gave me information from the nutritional/holistic side and the allopathic side so that I may have a more effective treatment plan. Most of all, this doctor gave me hope. On March 23, 2017, when I consulted with both the Surgeon in Chief Emeritus at HSS and my new rheumatologist at NYU…I knew I was in for quite an overwhelming day. But I finally came away with a sense of peace. They both knew what their plan was with me, and for once, they were not afraid of me. They want to use their own research methods and findings from the years they’ve been practicing and give me the best treatment for my autoimmunity, as well as the best implant for my joint replacement that they can. These two physicians are both scientists and empaths, and told me that I can finally be on the journey to being pain-free and living the young, fulfilling life I deserve. I will not and have not settled for less than perfect on my health journey. Everything I do affects my health, and I need to be sure that I am very productive. This has been a very long path, but I see how it has been guided. From my advocacy efforts and drive to educate myself, I will now begin to achieve the best quality of life possible because I am under the very best care. No more with settling and saying, “Well, I guess it is what it is.” June 2nd and beyond is not scary for me; it is a new beginning and I am looking forward to what will come of it. Because of researching, volunteering, educating and asking questions, I found what was best for me and my condition. Be proactive and learn as much as you can no matter what your goals are, and you will go through life happy and unafraid of anything that comes your way. Please follow my series about my total knee replacement on The Positivity Project. I will be detailing about my recovery, outcome and how my lupus “behaved” throughout the procedure. Stay tuned! Lupus Foundation of America and Arthritis Foundation Ambassador. Public Health Professional. 100% Warrior.